Start making better snack choices to get you through the day. Here are some tasty, healthy choices with less than 200 or fewer calories to get you started. Check out the better snack when you have a Sweet, Creamy, Salty or Crunchy craving! You don't have to find a berry patch to pick your own fruit. Just reach for these low-fat strawberry fruit bars packed with real strawberries. There's a refreshing taste of summer in every bite. Only 70 calories, 0 grams of fat and each bar provides an excellent source or antioxidant Vitamin C.
Satisfy your chocolate and fudge craving with a delicious 90 Calorie Brownie. Made with chocolate chips and topped with a drizzle of chocolate icing, each brownie contains 100 milligrams of sodium, 8 grams of sugars and no cholesterol or trans fat. 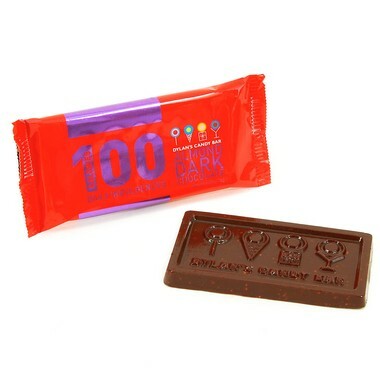 Treat your sweet tooth for its good behavior with a 100 calorie dark chocolate bar studded with bits of almonds. Choose other flavors, caramel, expresso, dark chocolate, and milk chocolate. These tasty crunchy vanilla mini cookies are a perfect “healthy snack” for everyone. Free of the top 8 allergens, and heart healthy with low sodium and no trans fat, cholesterol or saturated fat. Gluten, nut, and dairy free! Sunsweet Preservative Free D'Noir Prunes are grown in lush California orchards and allowed to reach full maturity the way nature intended. Moist and plump with fiber, potassium, and antioxidants. Add to yogurt or include a few almonds for a quick, nutritious snack. Always on-the-go and ready for anything? If this sounds like you, then meet your match. 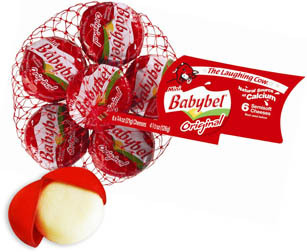 Mini Babybel is a delightful snack packed with calcium and goodness that is ready-to-eat anytime and anywhere. Just grab and go. Enjoy the hearty bite of habanero and jalapeño peppers in our Pepper Jack Slices—with 25% less sodium. 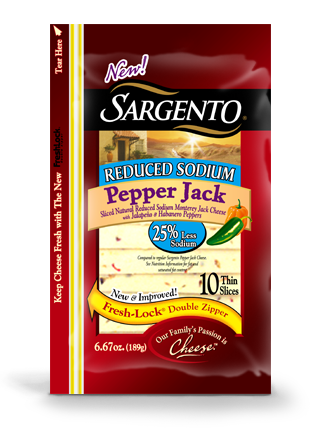 Great for spicing up sandwiches or special cheese recipes, our Reduced Sodium Pepper Jack Cheese slices give you all the taste you want—with less sodium. Go ahead - indulge and be joyous! Creamy strawberry light ice cream with succulent strawberry swirls…all dipped in a milk chocolatey coating for 4.5g Fat per bar! Made with premium ingredients plus the freshest, all-natural, and hormone-free USDA Organic Certified milk. Other flavors include blueberry, honey, and strawberry. These protein smoothies deliver 10g of organic whole food protein giving your body exactly what it needs without those unneccessary chemicals and isolates. 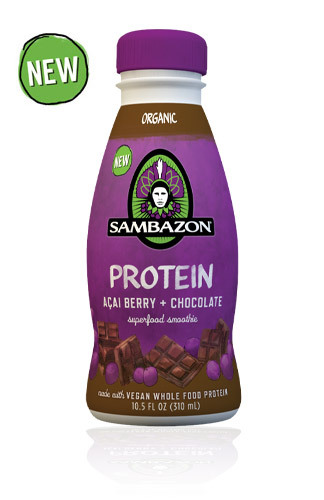 This vegan blend of chocolate soy milk and acai berries is delicious and healthy. The perfect balance of zesty sea salt, a hint of tongue-puckering vinegar and satisfying crunch. A lot less greasy from traditional fried chips. A healthy, yet delicious alternative for cheese cravings. Blended with four kinds of whole grains and sharp cheddar cheese, they offer a smooth, rich flavor. Corn, sea salt and air make the perfect combination to enjoy your salty side. Sea Salt chip'ins, are the perfect, all natural treat of taste, purity and crunch. The sesame flavor is lightly toasted to bring out the sesame seed’s essential oils, adding a healthy kick to Pretzel Crisps®’ delicious crunch. Sesame seeds are naturally rich in iron, magnesium, manganese, copper, calcium, vitamin B1, E and a good source of lignans (phytoestrogens with antioxidant and anti-cancer properties). Cracker Creations™ by Lance® is a new line of distinctive seasoned crackers with real vegetables and herbs baked into the cracker, real cream cheese filling, and 5 grams of whole grain per serving. Berry Blossoms™ are a whole wheat cereal milled into a hearty graham flour, with seven whole grains and other wholesome ingredients and baked until toasty and golden. The crispy cereal is tossed in a real fruit blend made with strawberries, blackberries and blueberries. It's a not just for breakfast snack! A delicious 9 grain blend of 100% natural ingredients including rye, barley, and millet. Great with your favorite salsa, hummus or low fat dip. The buttery rich flavor of old-fashioned almond toffee quiets your sweet and crunchy craving. Served in a portion-control jar, your nutritional almond snack adds up to 160 calories with 12 grams of monounsaturated fat, which is great for satisfying hunger and may even help you manage your weight. Other flavors include dark chocolate and mint dark chocolate, honey roasted, cinnamon brown sugar, and sea salt. Lower in fat and calories when compared to regular potato chips. So leave the greasy fingers behind and enjoy the same great taste of potato chips in a sensible way with these potato straws. 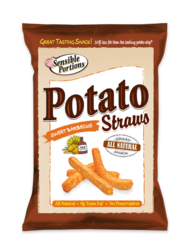 Enjoy a healthy serving of 38 straws for 30% less fat than your traditional potato chip! Sweet and salty carmel popcorn drizzled with rich fudge chocolate, and only 130 calories. Also available with white fudge drizzle.